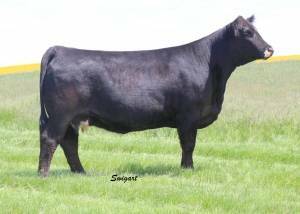 BSC Upper Hand is an Exciting New Uprising son from Blackford Show Cattle. 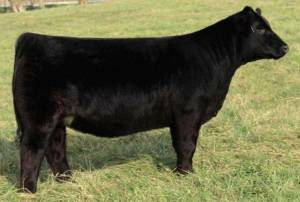 Upper Hand is the First ET calf from our Denver purchase in his Dam Yoko 151Y for half interest of $27,500, as the high selling open in 2012. Yoko 151Y is a Steel Force that is Freaky long necked, gorgeous from the profile, with plenty of bone and substance. Just like his mother Upper Hand is very long bodied, Big hipped, and stands on a big foot with plenty of bone. He has plenty of performance weighing 1820 at less than18 months of age. 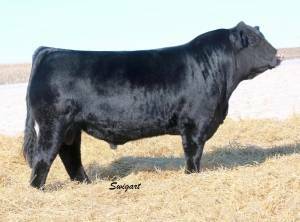 With Upper Hand being a May of 2014 there won't be many progeny out of him this year, but the few we have so far are stout boned, great fronted, with an awesome profile. Get on board, You won't be disappointed.